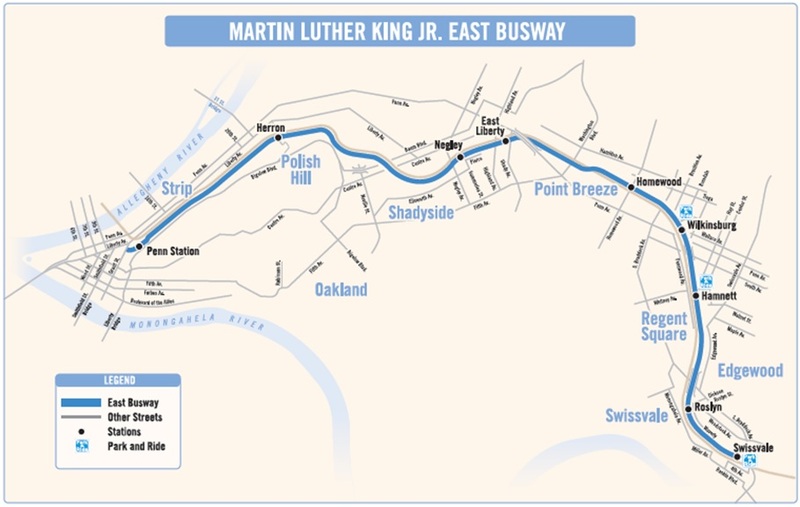 The East Busway Corridor Revitalization Project seeks to explore the opportunities for improvement that will support transit use, transit-oriented development, and community revitalization in the 15 communities along the Busway corridor. 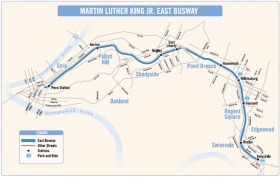 GoBurgh, a program of the Pittsburgh Community Reinvestment Group, hasembarked on a 3-year project to come up with shared priorities and visions for the MLK East Busway and is currently seeking input from those who live, work, play, or ride on or near the East Busway. PCRG is asking participants what they think are the challenges and opportunities around this important piece of infrastructure. You can help us create an amazing Busway by taking five easy steps. Click "Sign Up" or "Log In"
Tell others about this opportunity to provide input on the East Busway. The goal of phase one, currently underway, is to establish consensus priorities to guide decision-making throughoutthe rest of the planning process.